American Cool And Cool Is Your Air Conditioner Ready For The Summer? Well, it’s finally here. The beautifully sunny and sometimes oppressive Los Angeles Summer Season is finally upon us. While the majority of Angelinos transition directly from winter to summer, those of us without a properly working air conditioning unit end up directly transitioning from winter to an anguishing inferno of unbelievably sweltering temperatures. Therefore, in order to help our followers avoid said inferno, we’ve put together the following blog post outlining how to prepare your air-conditioning unit for summertime in this beautiful city. While the majority of American’s have never had the pleasure of experiencing a Los Angeles Summer firsthand, native Angelino’s know that as the city’s winter months come to a close, it’s time to schedule a check-up for their home’s air conditioning unit. What may seem like an unnecessary appointment to those living outside of Southern California, locals know that making sure that your air conditioning unit is in top shape before the truly hot months arrive, is nothing short of mandatory. At American Cool & Heat, the months leading up to summer are some of our busiest. That said, we make a point to offer our clients our Air Conditioning Check Up services whether we’re there to repair an oven or to maintenance the AC Unit itself. 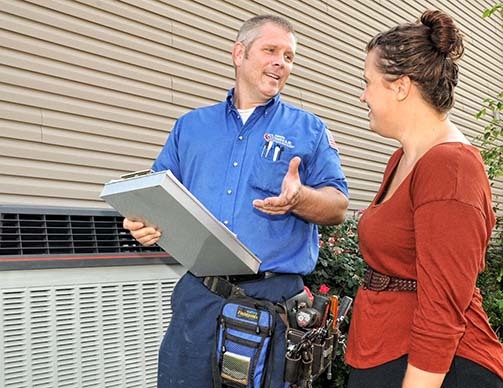 When it comes to air conditioners, our priority at American Cool & Heat is to ensure that our clients AC Units consistently function all year long. That way they’ll be primed and ready to go once the Los Angeles summer sets in. Contact American Cool & Heat Today! If you have any questions regarding the additionally steps that you can take to make sure that your air conditioning unit is prepared for the heat of a Los Angeles summer, or would simply like to speak with one of our service representative about our full menu of services, don’t hesitate and contact us today. We look forward to making sure that all of our clients are fully prepared for a summer of fun in the sun, and AC. Call us at 310.994.2434.